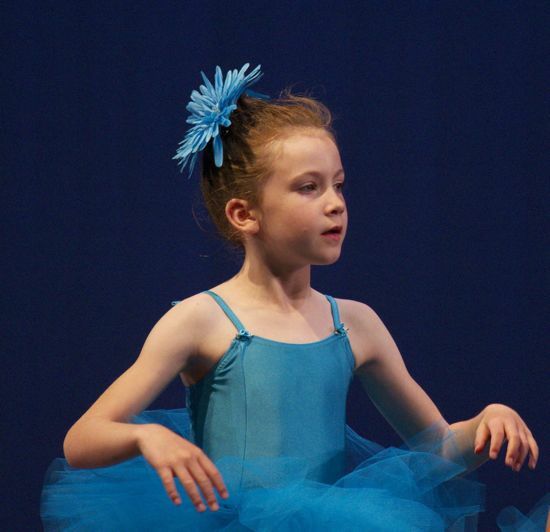 Caitlyn started this month with her second ballet performance. This time it was Spectrum's All-School Demonstration, with each class performing a stand-alone dance. 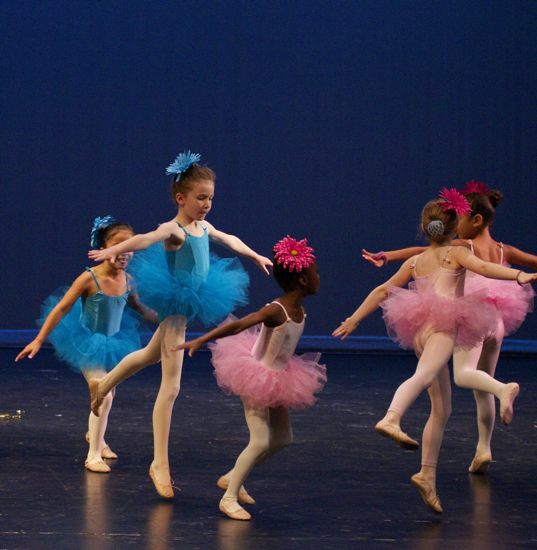 There were performances in ballet, jazz, tap and contemporary dance styles, by students ages 5 to 22. Caitlyn's class danced to Somewhere Over the Rainbow as sung by Israel "IZ" Kamakawiwo'ole. It's a lovely song, but after hearing it while they were learning and rehearsing their dance for the last five months, I'm tired of it, even if Caitlyn isn't! Her review: Performing is fun, although once per season is enough (she turned down an invitation to dance in her school's talent show). The lights on stage are bright and you can't see anyone in the audience. From this I extrapolate that she finds it hard to trust that the people who said they would be in the audience are really there. Or perhaps it was just hard to see her instructor in the first row, offering reminders of the next part of the dance. 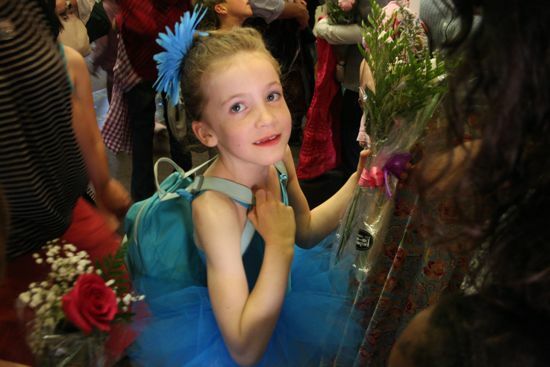 Caitlyn's favorite part: getting to keep her blue tutu and big blue flower. And getting to keep the flowers she received in her room for a whole week.